Plenty of artists play soprano saxophone, either as their weapon of choice or as an auxiliary axe, yet the instrument's inherent gift for melody is still under-explored in jazz. John Coltrane used it to probe deep into the recesses of sound itself, Wayne Shorter takes it on stratospheric flights, darting and daring all the while, and Sam Newsome works it to its limits through the use of extended techniques. Branford Marsalis, perhaps the most notable practitioner on the soprano saxophone today, tends to lean toward a modern menacing sound, classical sense of aural construction or a NOLA-based, Sidney Bechet-influenced style when he puts his tenor down and picks up this horn. All of these artists have done wonders for the soprano saxophone by touching on its potential in different ways, but Jasmine Lovell-Smith doesn't buy into any of their lines of thinking. Instead, she invokes the lyricism clause that exists on the soprano's birth certificate. Lovell-Smith, who originally hails from New Zealand and relocated to New York, bucks the faster-is-better and take-the-instrument-into-the-stratosphere trends that are so prevalent among soprano players. She prefers a measured approach that allows her to speak in quietude. 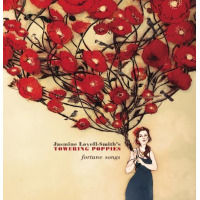 Plaintive strains and peaceable melodies prevail throughout Fortune Songs. Lovell-Smith marries her modest, middle register musings with trumpeter Big Chief Russell Moore's even keel trumpet as both horn players take their time in taking in the surroundings. The music can be bittersweet, yet rhythmically upbeat ("Confidence (One)") or loose and exploratory in nature ("Darkling I Listen"). Bassist Patrick Reid distinguishes himself when the music leans toward the rhythmically amorphous, while pianist Cat Toren tends to shine in more stable and sunny places ("Lover's Knot"). Drummer Kate Pittman is perhaps the most flexible of the bunch, adding shades of color and providing firm direction. Fortune Songs isn't a hit-you-over-the-head album, but the music makes a real impact nonetheless. This is visceral stuff that seeps into the pores and the heart.